Vinland National Center is a substance use disorder treatment facility for adults struggling with addictions to alcohol and/or drugs. 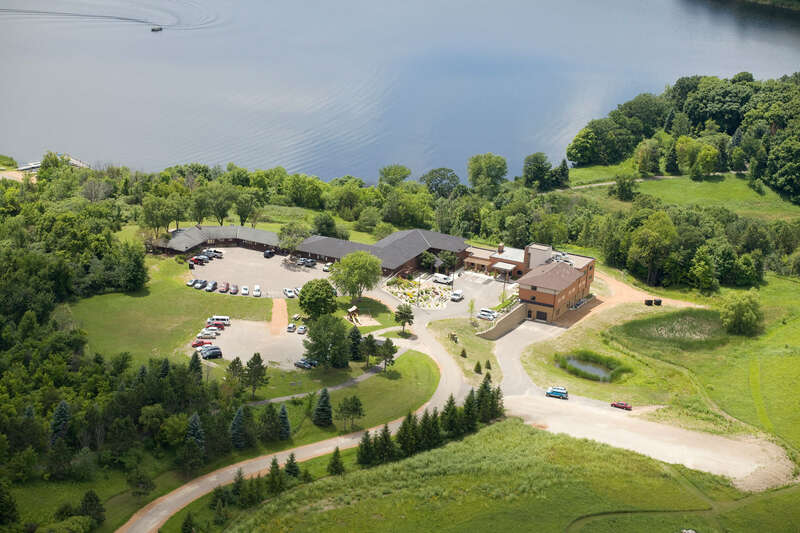 Vinland National Center is the only treatment center in Minnesota that specializes in treating adults with traumatic brain injuries or other neurobehavioral disorders, including acquired brain injury, Asperger’s Syndrome, Autism Spectrum Disorder, Fetal Alcohol Syndrome, Fetal Alcohol Affect and serious and persistent mental illness. They have a strong national reputation for providing services that meet the complex needs of individuals living with learning disabilities, mental illness and brain injuries. People who can benefit from a slower-paced, more personally-focused program. People living with disabilities such as a developmental disability, brain injury, and/or physical disability. Individuals dealing with simultaneous mental illness. Those who had difficulties succeeding in basic substance use disorder treatment programs or those who have relapsed and need a new approach. Vinland’s approach to treatment places emphasis on integrated thinking, emotions, and actions. Staff strive to make all possible accommodations for patients with cognitive deficits and adaptations to individual learning styles. Separate and secure women’s wing, with its own common area. Therapeutic Exercise Center and Recreation Center. Delicious meals and snacks professionally prepared on site. Staff assistance in arranging transportation to and from appointments and Vinland’s main campus. 24-hour supervision, 7 days per week. Admission counselors will be able to check on the availability of beds once a client faxes in their chemical dependency assessment and their application, along with Vinland’s Medical Screening Form – available on their website. If no bed is available at that point, the client would be placed on a wait-list. permanent supportive housing for adults with disabilities in recovery from substance use disorder. In addition, clients of Vinland National Center have access to a variety of complementary care services. The program that the client admits to will depend on their symptoms and their severity. An intake counselor works with the client during the admissions process to help determine what level of treatment might best serve the client. They offer group and individual sessions and have a staff to client ratio of 1:6. Clients interested in applying to Vinland National Center should first discuss their payment options with an Admissions counselor. They accept most of insurances as well as MN state funding. The client should have their insurance card with them when calling so they can verify if the client’s insurance benefits would cover the cost of the program. In cases where the patient is not covered, payment arrangements can be made through a self-pay option. Vinland is a fully accredited substance use disorder treatment center licensed by the state of Minnesota. They worked with the Center for Substance Abuse Treatment through the Substance Abuse and Mental Health Services Administration (SAMHSA) to establish best practices for their Mental Illness/Substance Use Disorder groups. holding group sessions on the pontoon boat on the lake. Televisions are available throughout the facility, where clients can enjoy shows in their downtime. While the facility does not allow patients to have their cell phones with them at any time, they do provide patients access to phones that can be used to make or receive calls during certain times. There are also lounges available in the facility, with pool and ping-pong tables, where patients can relax and socialize while therapy sessions are not in progress.